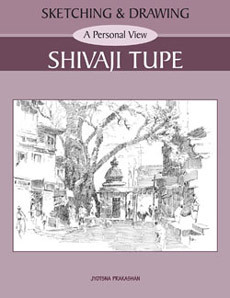 Artist Shivaji Tupe is actively working in the field of landscape painting for more than fifty years. 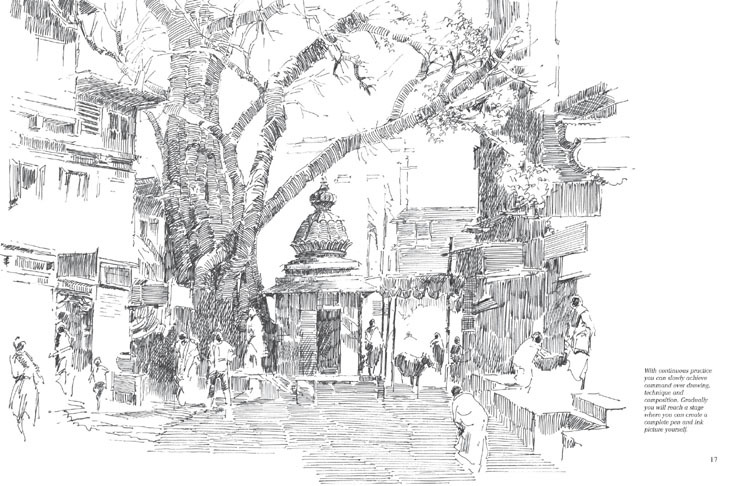 He has travelled many a place in India in search of subjects for landscape painting. Along with a variety of subjects, he has used watercolour, oil paint, opaque watercolour, acrylics, as his mediums to express his creative urge. In addition he has worked a lot in pen and ink medium in free way. In this book you will find his thoughts about outdoor sketching in pen and ink medium, his working methods and qualities of this medium. 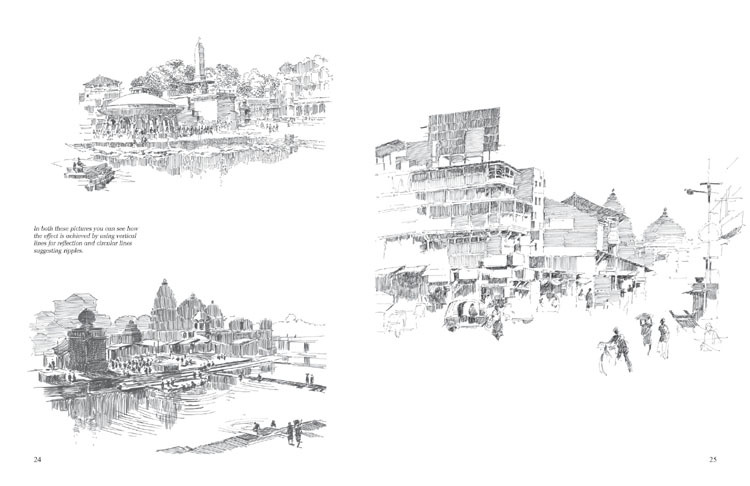 When you will see these pen and ink works you will understand the vast creative scope offered by this challenging medium.